Grand Alliance is your partner in all types of Low Voltage Switchboard, and Sheet Metal works, PLC / SCADA instrument panel / DCS, Oil and Gas Engineering and Sourcing. Grand Alliance is a newly established associate company of Puncak Generasi (M) Sdn Bhd. 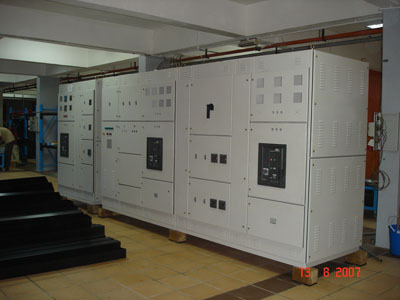 Puncak Generasi is one of the main supplier and manufacturer for switchboard in Malaysia. Thus, it has started the initiative to expand its business into regional market by penetrating into Singapore market, with Grand Alliance acting as a business vendor. Our company are specialised in providing a wide range of industrial supplies as well as switchboard and HVAC. In addition, we also provide M&E services, involved in Oil and Gas related projects. At the moment, we are also providing office and warehouse space. If you are in an industrial or manufacturing business, we have exactly what you need. Grand Alliance always looking for people who are interested to work together as a business partner. When you are ready to have the experience with our professional team working on your project or if you are interested and would like to know more about what solution we can offer you, please do not hesitate to contact us. We are looking forward to count you as our valued customer or becoming our business partner. PGSB has a reputation for producing quality industrial products at a very competitive price. 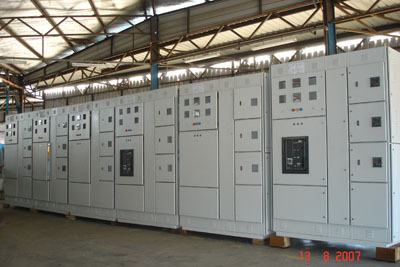 Our company manufacture wide range of products including Low Voltage Switchboard, Feeder Pillars, Motor Control Centres, PLC Control Panel, Distribution Board and PLC Cubicles. Our manufacturing centres can supply all these electrical products to all parts of Malaysia and overseas. Our electrical switchboard is certified with ASTA Certification IEC-60439 which comply with all international standards.